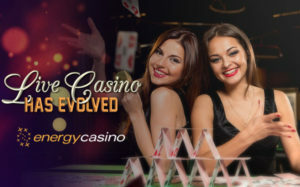 Energy Casino has added Blackjack, Roulette, Baccarat and Casino Hold’em from Evolution Gaming to their live casino. 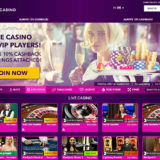 This adds 36 Blackjack Tables, 5 Baccarat tables, a range of Roulette tables and one Casino Hold’em table. 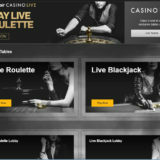 Baccarat players have the choice of a number of different versions, such as Speed Baccarat, Baccarat Squeeze and Controlled Squeeze. 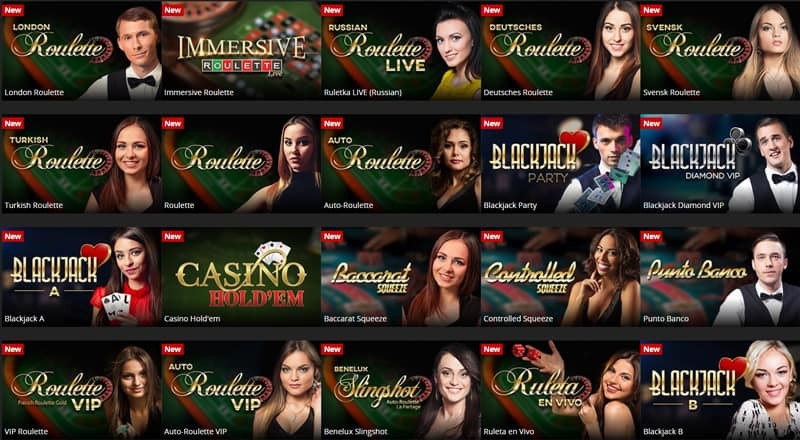 Roulette comes with the popular Immersive Roulette, the newly released Speed Roulette and an array of native language tables in Swedish, English, German, Flemish, Russian, Turkish, and Spanish. 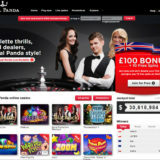 The games will only be available to UK players initially. 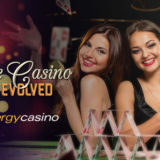 Energy already has live games from Extreme Live Gaming, so adding the Evolution ones will give the players more choice. Strangely, Energy has not opted for the popular Poker variants such as 3 Card Poker, Caribbean Stud Poker and Ultimate Texas Hold’em, preferring instead to go with just Casino Hold’em.